As consumers, we are told that Canadian retail prices must be set above American because the costs of operation are higher north of the 49th parallel. For that reason, cars manufactured in Ontario have larger price tags in British Columbia than in California. Similarly, Korean cars transported to New Westminster are more expensive than similar vehicles shipped to Tacoma. Today, after exchange, we could buy gas in Bellingham at 60% of the Vancouver price and the difference is only partly explained by local taxation. Amazon Canada sells the same products at much higher prices than Amazon USA. Consumers have grown used to this situation. So much so, that we don’t bother to notice when government hires experts to study the problem without ever getting around to addressing it. Who remembers the 2013 Senate report that called for removal of “barriers to competition in Canada to narrow the price discrepancies for products between Canada and the United States.” Few recall Conservative Finance Minister Jim Flaherty promising to legislate against country pricing, the policy that ensures nations that tolerate anti-competitive trade practices get higher prices than nations that ensure open competition. However, the assertion that Canadian businesses – large ones, that is – face higher costs of operation is questionable. Currently, mining, oil & gas companies in British Columbia essentially contribute nothing for what Americans call severance taxes, payments for removal of nonrenewable resources. In five years of the Clark Government, those companies have paid rather little into the provincial treasury. 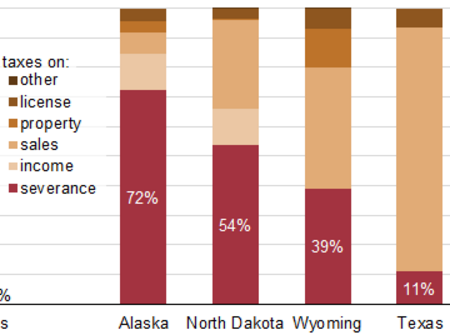 The U.S. Energy Information Administration (EIA) reports the proportion of severance taxes to total state revenues in 2014 for a number of states. There is little comparison to British Columbia. One of the excuses given for higher consumer prices in Canada is that goods distributors must service lightly populated areas. Yet, BC Hydro is delivering subsidized power to many remote operations, including Red Chris mine, 900 kilometres by road northwest of Prince George. They are spending a fortune to do it. Guess who pays for that power transmission? My point in this and other articles is that our so-called free enterprise economy has been captured by special interests and is being played to their advantage. The result for them is trivial taxation and unhindered conduct of business (the red-tape reduction gambit). Individuals and small and medium-sized businesses get higher priced goods, onerous taxation, municipal restrictions and fees for service at every turn. Special interests grow wealthier and use financial power to consolidate control of the political system. Increased influence buys yet more benefits. In history, the flow has continued until the elites’ self-indulgent excesses led to revolt and revolution. A large number of people in British Columbia should keep that in mind. Bait and Switch: Red Chris Mine, ‘Green’ Funding and the Northwest Transmission Line. And the Lies of government continue. Your “in history” comment may indeed be, “the only way out” of the mess the average person and taxpayer is, especially in this province. Laws and governance only work as long as they are believed in and the “perception” of a “just and fair system” continues to exist. If that fails, and the “perception” becomes that the system of laws, enforcement and governance are there to “serve and protect” only those in power and whose governance is corrupt, will disintegrate into chaos. I submit, in B.C. we are long past the point, where the above perception exists, and corruption and white collar crime are now, the perceived “normal”. In any other “third world regime”, the tanks would have already rolled, long before this. I think the government is desperate to see anything that looks like GDP growth. The provincial debt load is huge and growing, and they measure debt as a ratio of debt to GDP. So they really, really want that GDP to grow, no matter what, to maintain a constant ratio. That partly explains their fervour for stupid ideas like LNG export and Site C. All those things will do is add more debt, though. A promise of 15,000 new jobs? In fact, the jobs created were a tiny fraction of the promise, most from construction and maintenance of the transmission line. Norm, you've noted that B.C. 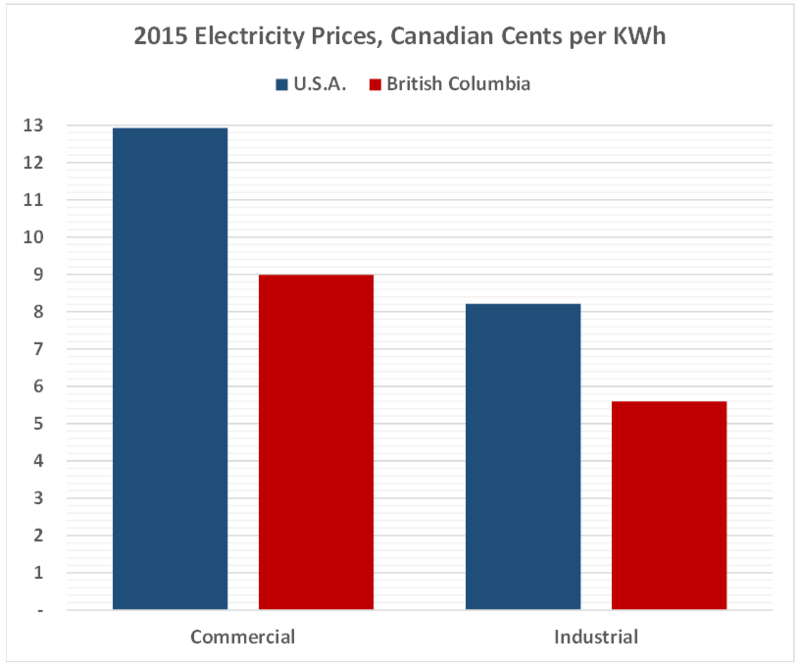 Hydro's cost of new power is substantially above the price that mining companies pay, if they actually pay. One other cost absorbed by BC Hydro is not insignificant: power losses that occur from long-distance transmission of electricity. Hydro might buy a few thousand gigawatts from IPPs but, by the time it is delivered to customers, they have substantially less to sell. “BC Hydro president Dave Cobb has told his staff that he expects Victoria to soon abandon its current energy self-sufficiency policy, a move that would free Hydro from buying hundreds of millions of dollars worth of electricity that it doesn't need from independent power producers. Cobb made the prediction on a private conference call with Hydro staff on Aug. 12, one day after a government-appointed panel released a report slamming Hydro for its bloated staff and high wages and calling for Hydro to cut its planned rate increases in half. On the call, Cobb argued that the B.C. Liberal government's 2007 energy plan, which requires Hydro to have enough energy on hand by 2016 to be self-sufficient, is enormously costly to the utility.